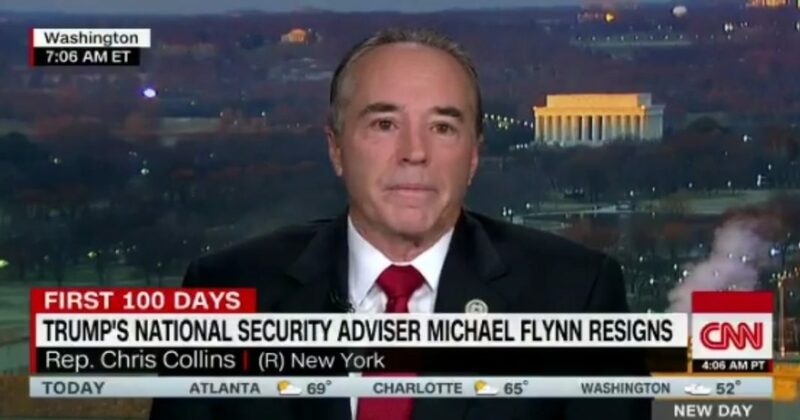 According to New York Congressman Chris Collins, few Republicans have commented on the resignation of NSA chief Michael Flynn because it is Valentine’s Day – seriously. Apparently, Valentine’s day is such a sacred day that most of the GOP refuses to breech the sacred silence of the day to comment on a major scandal in their own administration? This excuse might have flown if it were any other holiday, but shirking your political duties during a massive scandal in the administration because of some roses and chocolate hearts? Sad! Collins continued, saying that he hoped everyone would soon “move on,” from the story. Fat chance of that, buddy. Truthfully, the GOP is too spineless, still, to defy this administration even in the face of overwhelming evidence of corruption. I don’t know what Trump has done to these elected officials to make them so terrified, but they are like rats clinging to a sinking ship. Cuomo: Why is the GOP so quiet on Flynn?